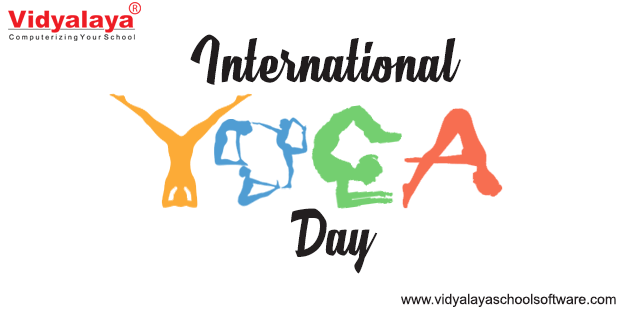 Today is 21st June, We all see this precious day as International Yoga day and We all celebrate in an thinking as, Yoga is not a religion it is a science, science of Well-being, science of Grenness, science of reconcile body, mind & soul. It genuinely means the addition of energy, strength and beauty to body, mind & soul. The word ‘Yoga’ is imitative from the Sanskrit root ‘Yuj’, meaning ‘to join’ or ‘to yoke’ or ‘to unite’. According to modern scientists, everything in the universe is just a materialization of the same quantum firmament. One who Know-how this oneness of existence is said to be in yoga, and is Subtitle as a yogi, having realized to a state of freedom referred to as mukti, nirvana or moksha. Being self refers to inner science of body and peace of mind where We as the humans hold on expectations which are never fulfilled. We need to travel this journey from ME to WE on our own as said “Yoga is not about self- improvement its about self-acceptance”. Also it is the journey of the self, to the self, through the self. Clearly we can relate it as our culture. As our Indian culture has it to its first priority followed by the other countries too. This is an honorable thing to we Indians, as we live in such an impressive domian country where we learn to be united, we follow our culture and make others disorienting decision to be “YES”. From here I guess the journey begins from ME to WE. If We dwell upon our past we all were that sort of humans where every one would be equal and important. But this gradually changed to the importance of one individual because of competitions or say many aspects. compared to that nowadays, life is very hectic and most probably because we all started going to the path of Me and not Us. In vogue there are many things which affect our youth like, stress, competitions against each other, education pressure by families, over thinking, unhealthy leading life, unhealthy food practices, no exercise and many more. Due to this, youth has a life where there is no one to guide them, but this could be done by the educational institutes. Mystifying? Of course not ..! Educational institutes are the base where the child grow up, learn manners, make friends, decide on which path to go, physically be strong, do activities they like, choose the subjects and go further with it. I very well remember my school days when we in the morning used to do prayers, do 10 min yoga. This 10 min of Yoga gave us energy to the infinity level for whole day work we did. This is what we all need today also, so I asked the educational institutes to take the responsibility of youth and take out their whole potential as much they can. This yoga practices would help to build a nation where each child would be important, stress free, decision maker, calm, friend, and last a good human being. Reality is the acceptance of yoga in day to day life which everybody will think over. For this to be done educational institutions should focus on yoga too. They can arrange a special class for the awareness plus in everyday practice institutes can do it in the morning sessions just for 10 minutes. This will definately bring the regularity for yoga amongst youth. Moreover, an irregularity in the body prevail the mind and thus nastiness or restlessness in the mind can manifest as an ailment in the body. Yoga poses massage organs and strengthen muscles; breathing techniques and meditation release stress and also improves immunity.So guys get going by taking a oath today of doing yoga regularly and bring asset to your life & let’s make our world unite rather than an individual.